You will need Adobe® Reader® installed on your computer to view the newsletters. If you do not have Adobe® Reader® installed on your computer you may download and install a FREE copy by clicking on the Adobe® Reader® image below. 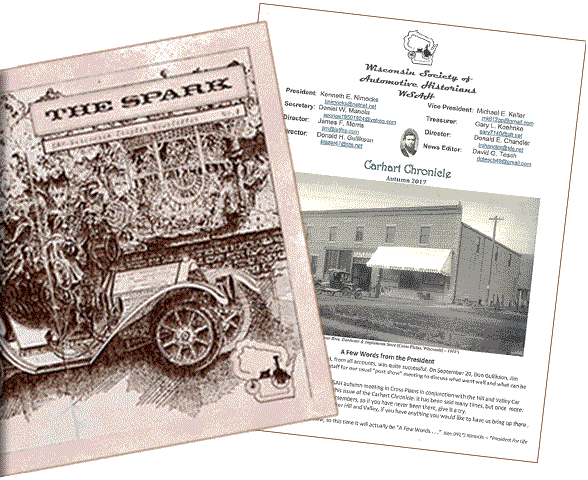 ‘The Spark’ newsletters originated way back when dirt was invented. The newsletters present a wide variety of topics relative to the automotive world of the day. The links to the side will provide you with a glimpse of our past as the Wisconsin Society of Automotive Historians saw the state of the automotive industry. The ‘Carhart Chronicle’ Newsletters carry on in the same tradition as ‘The Spark’ but with a little more flair and color thanks to editor David Tesch.